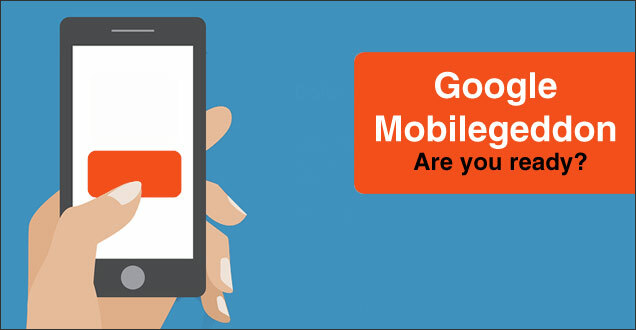 Google's Mobile Search Changes - Are You Ready for Mobilegeddon? “Mobilegeddon!”–as it has been so dubbed–is an algorithm that will make mobile-friendly websites in Google’s organic search a priority. As mobile usage increases by the multitudes on a daily basis, it is the logical choice for Google to want to provide their mobile users with mobile websites. If you get the “Mobile-Friendly” label by your site when you search, or if you receive the “Mobile-Friendly” analysis in Google’s test, then congratulations! You’re good to go for April 21st. However, if you receive the ‘Not Mobile-Friendly’ diagnosis, then it’s certainly time to make some changes. It goes without saying: ideally your website should be mobile-friendly. It is 2015 after all and more than half of all web viewers are surfing on a mobile device. However, there are still a large number of businesses and organization that do not have a mobile website. With knowledge of Google’s recent announcement of a pending update, paired with the continued expansion of mobile usage, it is undeniable that your site must be mobile-friendly. So what does this really mean? In short, if your website is not mobile-friendly by the end of April, your site will suffer from diminished search rankings – which will lead to less site visits, and which will, in turn, ultimately lead to fewer customers. To make things crystal clear: Make the change, or suffer the consequences. There are a number of methods for creating a mobile-friendly website – one simple approach is to use the Qfuse mobile website builder to easily create a full-featured mobile-friendly website. Another approach is to invest in building a “responsive” web presence using responsive web design–an approach that scales a single website to the screen size of the device displaying it. Whichever option you choose, do it fast. The deadline is around the corner. Contact us today if you’d like to learn more and how Qfuse can help you beat the clock and make the most of your mobile presence.